Tomorrow is Groundhog Day! Groundhog Day is a popular tradition celebrated on February 2nd. The ceremony held at Punxsutawney in Pennsylvania, is centered around a groundhog named Punxsutawney Phil. It is said that when Phil emerges from his borrow, if he sees his shadow, there will be six more weeks of winter. If Phil does not see his shadow, spring will arrive early. This tradition dates back to 1840. Today, crowds as large as 40,000, gather each year to await the prediction of Punxsutawney Phil! 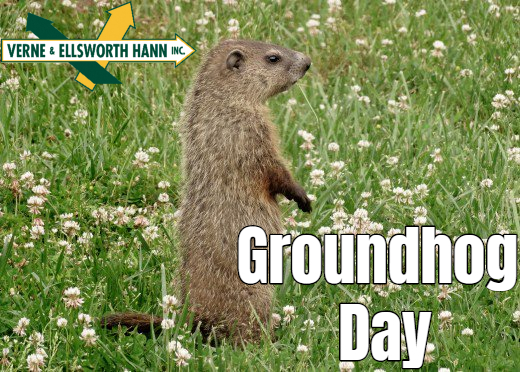 With the recent polar vortex here in Northeast Ohio, we can only hope that Phil does not see his shadow tomorrow! In the unfortunate event that he does, make sure your heating system is ready for 6 more weeks of winter! Whether your home is heated with a furnace or a boiler, it’s important to make sure it’s running safely and at peak efficiency. Verne & Ellsworth Hann, located in Cleveland Heights, offers routine maintenance on your heating system and highly recommends you have it done annually. Call the experts at Verne & Ellsworth Hann today for all of your heating needs! And Happy Groundhog Day!